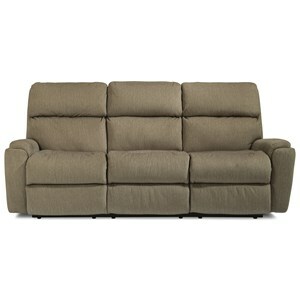 This reclining sofa's casual and comfy style and quality construction makes it a piece of furniture that's tough to beat. 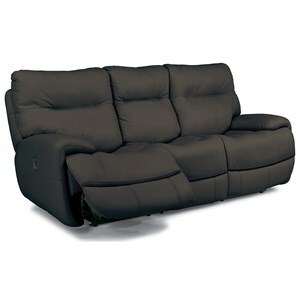 Thickly padded, full-length chaise cushions provide incredible support for your legs, paired with equally-plush neck support cushions and pillow arms. 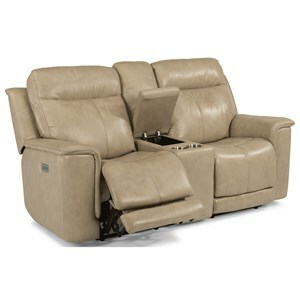 Available in power or manual recline. 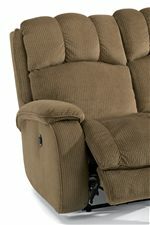 Power motion recliners are now available with a built-in USB charging station, helping you keep your phones and devices charged and easy to reach. 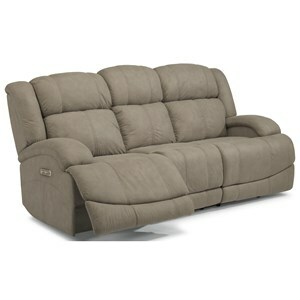 The Huron Casual Power Reclining Sofa with Plush Padded Arms and Headrest by Flexsteel at Furniture and ApplianceMart in the Stevens Point, Rhinelander, Wausau, Green Bay, Wisconsin Rapids, Marshfield, East and West Madison, Wisconsin area. Product availability may vary. Contact us for the most current availability on this product. Moms, dads, and kids all have a different way they like to relax. 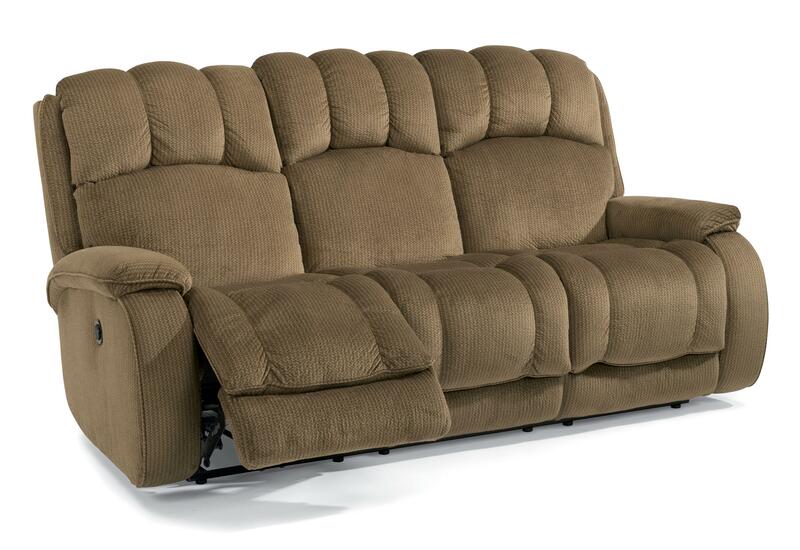 Whether it means curling up with a book, Saturday morning cartoons, watching your favorite sports, or video gaming, the Huron recliner makes all down-time activities a little more cozy. 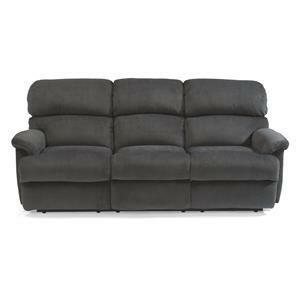 Durable padding and a deeper seat help cater to people of all sizes. 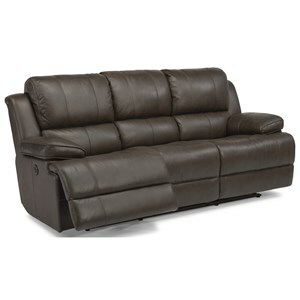 Choose the incredible comfort of the Huron reclining sofa, loveseat, storage console loveseat, or chair to make any room a cozy haven. Available in a number of stain-resistant and heavy-wear fabrics that cater to the unpredictable nature of your busy family. Check with your local retailer for prices and availability. 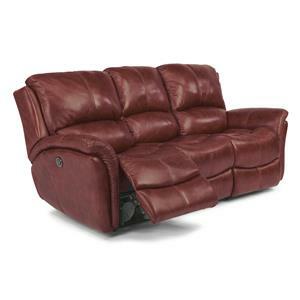 The Huron collection is a great option if you are looking for Casual furniture in the Stevens Point, Rhinelander, Wausau, Green Bay, Wisconsin Rapids, Marshfield, East and West Madison, Wisconsin area. 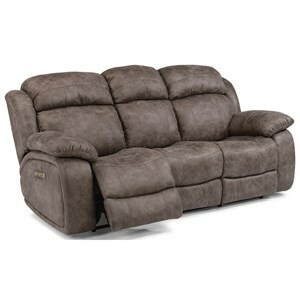 Browse other items in the Huron collection from Furniture and ApplianceMart in the Stevens Point, Rhinelander, Wausau, Green Bay, Wisconsin Rapids, Marshfield, East and West Madison, Wisconsin area.